A resume is part of a job application summarizing the accomplishments that are relevant qualifications for your target position. You must present an appealing, error-free resume in the best format to attract attention of hiring managers or recruiters. Academicwritersbureau.com helps job seekers to stand out from other applicants by editing their resumes to perfection by offering personalized resumes editing services. We are a structured resumes writing and editing service with vast experience in latest hiring trends. Our resume business is not a small staff manned by few members. We have a larger team of professional resume editors from various career fields. You will get an experienced editor from your career field or the particular position that you are targeting. Our editors will amend your resume to make it more engaging and catch the eye of recruiters. We will help you to achieve your career objective by revising your resume to suit your career to suit the job you are applying. Each of our resume writers knows how to personalize a resume for a sector so particular position. We can also edit a resume to fit multiple positions or create several of them from the original for application to different positions. A resume may have much information, but only part of it is important for your application. After running the resume editing business for long, Academicwritersbureau.com has gained much knowledge on recruitment trends. We can identify essential information to present for an application and where to fix it. 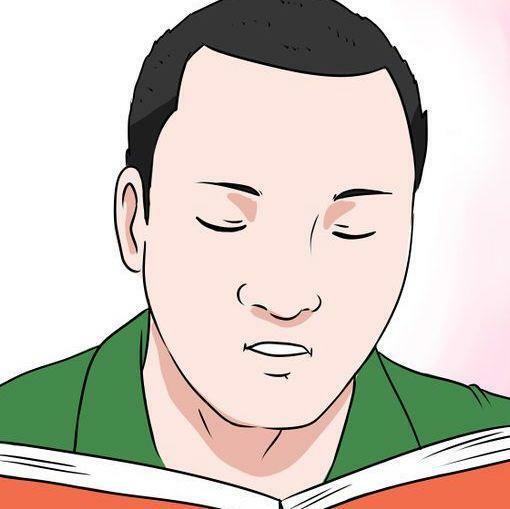 We will edit your sentences to enhance the way they demonstrate your abilities while explaining talents you never thought to be worth a mention. We have helped many to get jobs after helping them to identify the information to add or leave. AWB resume editing team is made up of trained professionals from different career fields. They know the recruitment requirement for their specialty fields which comes in handy when editing a resume to fit a specific position. Some of our resume editors are former recruitment officers for the top companies. They know everything that potential employers look for when reading a resume and will edit your to fit their interest. Apart from their background, our editors are original writers who help them to edit a resume in a way that will get the attention of the potential employers. We take your careers seriously and will write a resume in the most suitable format. Our writers can create these types of resumes. Academic Writer Bureau ensures that you get the best by assigning your resume editing order to an experienced editor in the career field you intend to join. Often, the person is a former recruiter who knows the process that will be applied to locate the right candidate. We ensure that we get your focus right by directly contacting you after receiving your order. 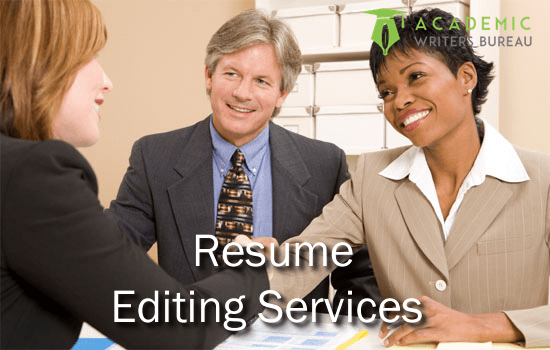 Our resume editing help includes a one-on-one interview between you and your editor to know your career aspirations and edits your resume to fit the targeted positions. In need of a Professional Resume Editing Online? Here we are! Get a feel of our highly rated services worldwide. Our editors never disappoint. Will I get an editor specializing in my field? Will I get my resume that I can edit in future? How soon will I get my edited resume? It depends on the length of your resume and the intensity of changes we need to make, but you will get it within few hours. What categories of resume do you edit? We edit student& entry, professional& mid-career, and executive level resume for all careers. We also edit military and federal resumes. What is the cost of editing a resume and how do I make my payment? The cost depends on your career level. You pay for your order using your credit card, debit card or PayPal. Thanks to my editor, my resume impressed all the recruiters at the places I distributed it. I got several interview calls and had the pleasure of choosing my favorite employer. I recommend Academic Writers Bureau resume editors to career marketers. After editing my resume, I got a job that moved me from entry to mid-level position. After a thorough editing by AWB, my resume got keywords and phrases that attracted the attention of online recruiters, and I got my first job weeks after college graduation.